The striking modernist facade of Crathie Court can be found nestled on Laurel Street, Partick. Despite being over 60 years old, it still looks alarmingly modern amongst the surrounding Victorian tenements. Completed in 1952, the grade B listed building was the first high rise public housing project to be built in Glasgow. 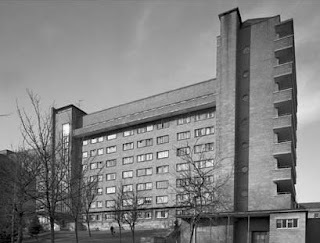 Designed in 1949 by Ray Bradbury, Glasgow's Director of Housing, Crathie Court was intended to be a prototype of the high rise model that was thought to be the solution to the urgent slum clearance programme, and is today recognised as an important landmark development in Scotland's post war housing programme. 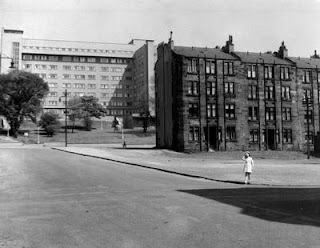 Yet despite the optimism of its beginnings, in the 1980s Crathie Court became the site of a brutal, and unsolved murder. 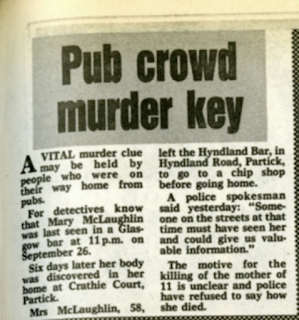 On the 2nd of October 1984, the body of 58yr old mother Mary Ann McLaughlin was discovered in her home in Crathie Court when a concerned relative noticed a foul smell coming from the apartment. She had been strangled with a ligature, and her body had lain there for six days. 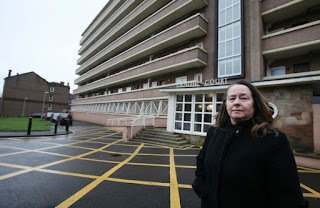 Mary was next seen around 100 yards from the chip shop walking down Crown Road in the company of a young man, it was the last time Mary was seen alive. The police issued the following description of the man seen in Mary's company that night: he was slightly built, aged between 22 and 26, 5ft10 to 6ft tall, clean shaven with brownish neat cut hair worn bushy at the sides, possibly with a prominent nose. He was described as wearing a bomber or anorak style jacket, green or grey in colour, with green collar and cuffs, the remainder of his clothing was light coloured. Despite police efforts this man was never traced and despite strenuous police efforts, the case soon went cold. Detective Wishart was not the only one haunted by Mary's death, Mary's daughter Gina McGavin has vowed never to stop looking for answers to her mother's murder. She even wrote a book about her mum's murder, named 'Diamonds and Frills' after a lyric in her mother's favourite song 'Little Things Mean a Lot' by Kitty Kallen. At the time of her mother's murder, Gina was mourning the death of her father who had died just a few weeks before. She would later tell reporters: "I still remember the day I got the phone call to say my mother was dead. I couldn't believe it because my father had just been buried about three weeks earlier, aged 68. I said to the police in disbelief, "but my father had just died - he has only been buried a few weeks, how can my mum be dead?'" 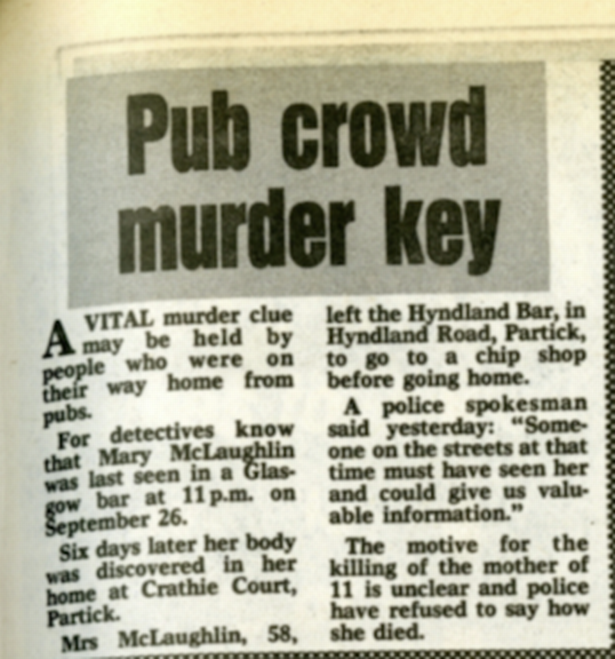 There have never been any arrests made in Mary Ann McLaughlin's case, but despite this police maintain that the case remains open, and is subject to periodic review. Find the best Helensburgh Accommodation like top class hotels, restaurant online and Eating Out In Helensburgh.